After Google Glass, what next for smartglasses? Oh, Google Glass; we barely knew ye. Just over half a year after it was launched in the UK, Google has decided to shelve the first edition of their infamous head-mounted smart glasses. While the official line is that Google is preparing for a new model in 2015 (and a possible consumer launch – the 2014 launch was aimed at developers), many tech journalists have interpreted Google’s move as a rare admission of failure. So, what went wrong? And how can Google, and other tech manufacturers, make smartglasses a success? At £1000, the still-in-development Google Glass Explorer Edition was way out of reach for the average consumer. Crucially, though, it may have also been out of reach for Google’s target market – developers. While most of the big guns managed to get their hands on the tech, the hefty price tag may have put off developers who could have pushed the technology further. With a lower price tag, more developers could get their hands on Glass, which in turn might help make it more appealing to the man, woman or child on the street. The idea behind Glass is that it offers an augmented reality experience. Your day-to-day life is overlaid with notifications from social media and email, as well as directions and information. Unfortunately, those are all things you can get from your smartphone already. Like smartwatches, a lot of people haven’t been given a good enough reason to splash out a small fortune on tech they don’t really need (but quite want). Google, or one of the many development teams working on Glass apps, need to find that one feature that’ll get people fighting over the last Glass in the shop. There are a couple of promising signs already. The translation feature, in which Glass translates foreign language signs and lays the translation over the sign itself, is really cool, while the closed captioning of conversations could provide numerous benefits to the hard of hearing. According to some reports, Glass used a processor with the specs of a 2011 phone (the Samsung Galaxy S2, for example). While most people don’t bother themselves with the intricacies of processors, Google will undoubtedly seek to improve the performance of Glass with their next model. If you offered 100 people £100,000 in exchange for dressing like Duran Duran for the next 10 years, we’re willing to bet 90% of them would turn you down. People like to look cool, no matter what they say. And Glass, as useful as it is, just doesn’t look cool. It looks like a prop from a low-budget 80s sci-fi. 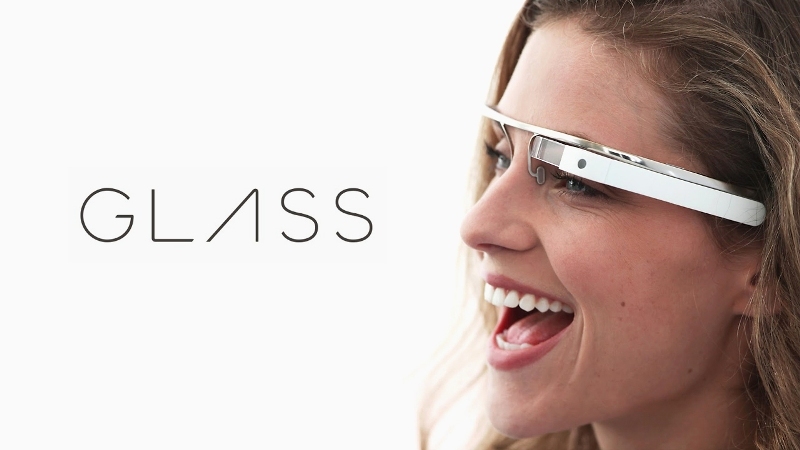 Hopefully, Google will enlist the help of a fashion designer for the second version of Glass! Glass freaks a lot of people out. How do you know that guy wearing the headset isn’t filming your every move, or taking pictures of you? Well, quite easily really; he’d be staring at you intently. But privacy remains a big issue for many, and Google need to figure out a way of allaying the fears of the general public, and businesses too (Glass was banned by numerous restaurants and cinemas). Perhaps even a big red light to warn people when the camera is operational! Of course, it may not actually be Google who win the smartglasses race. Last week, Microsoft launched Hololens and it looks ridiculously cool. The headset overlays everything with notes and information, and can even allow other people to view the world as you see it. It’s pretty much the closest we’ve got to Terminator-Vision so far. Would you consider buying Google Glass? Let us know in the comments. Save up for your new gadgets with musicMagpie; sell your electronics now!